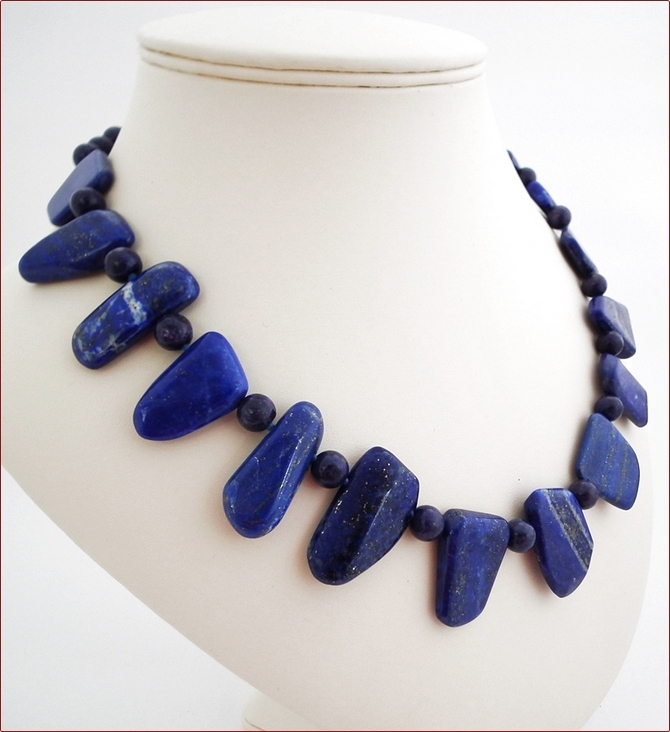 These are fantastic chunks of lapis, cut, drilled and polished by a lapidarist here in the UK (who I am keeping secret!). 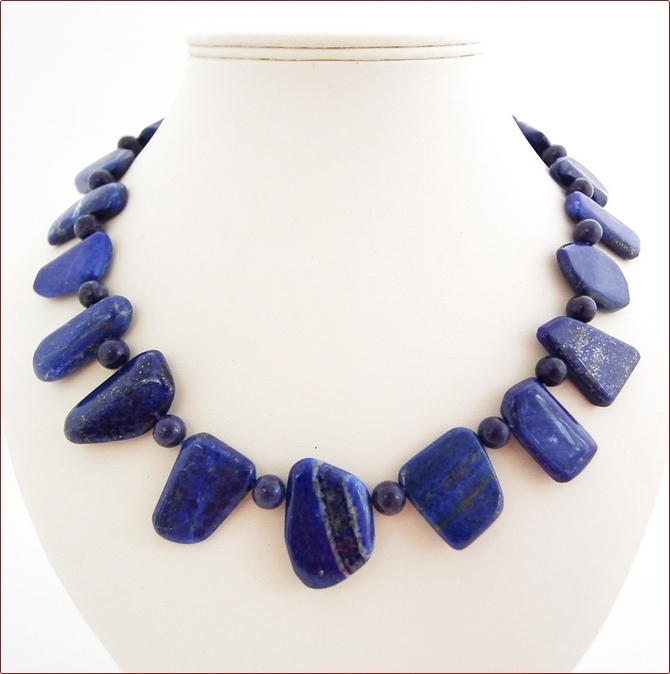 They are a very generous size, the central stone measures 3cm x 2.5cm and such a fabulous blue! 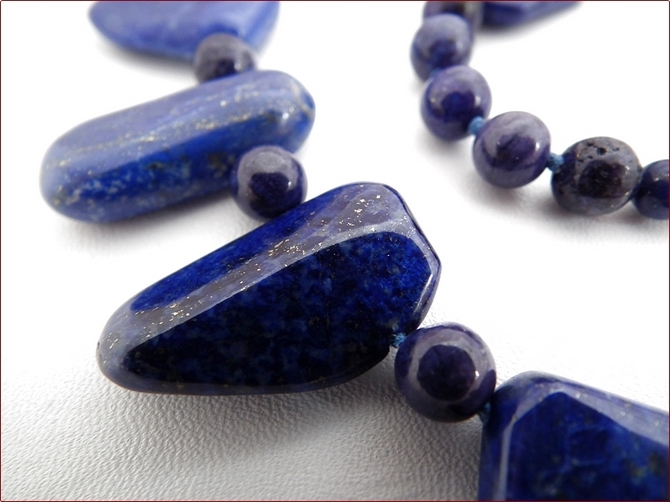 You can see pyrite in them and here and there white calcite but most they are a deep royal blue. Delicious! This is quite a statement necklace. 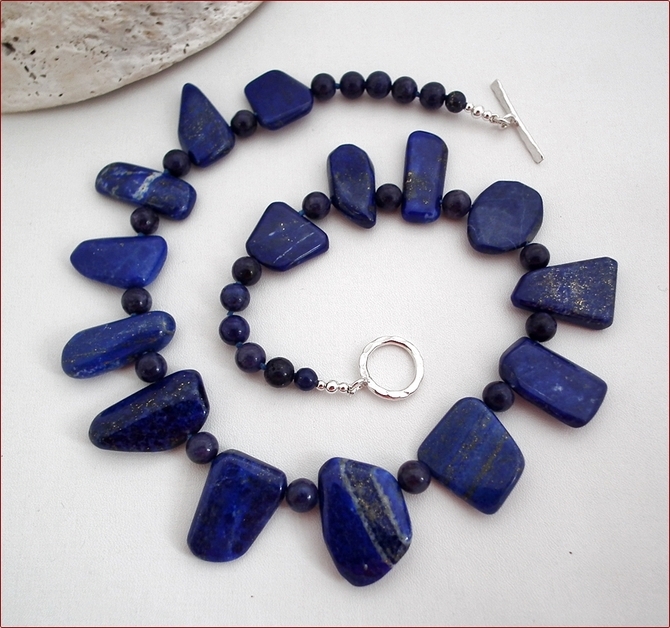 I've knotted the lapis chunky stones with 6mm round lapis stones in between and it fastens with a hammered sterling silver toggle clasp from the Karen Hill Tribe. (Thai silversmiths whose silver is purer than sterling). 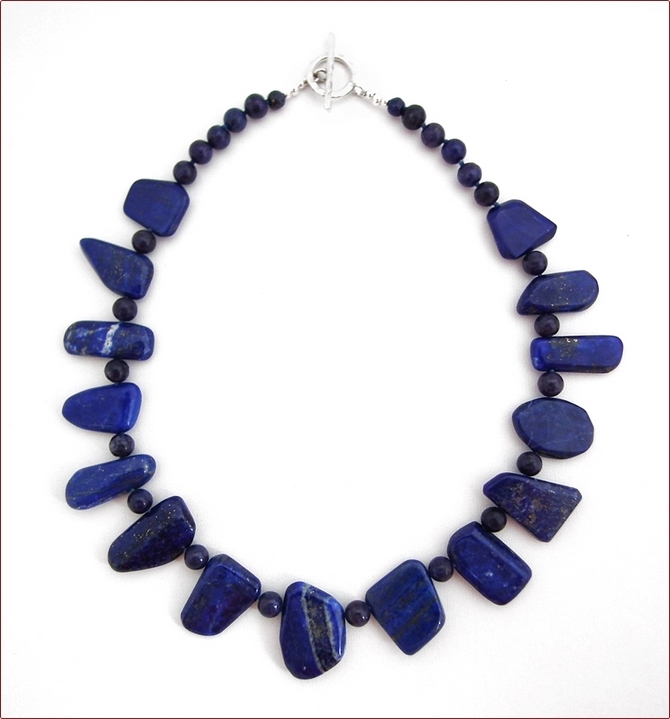 The necklace is 20" (515mm) long. Wear it with white linen. Or grey silk.